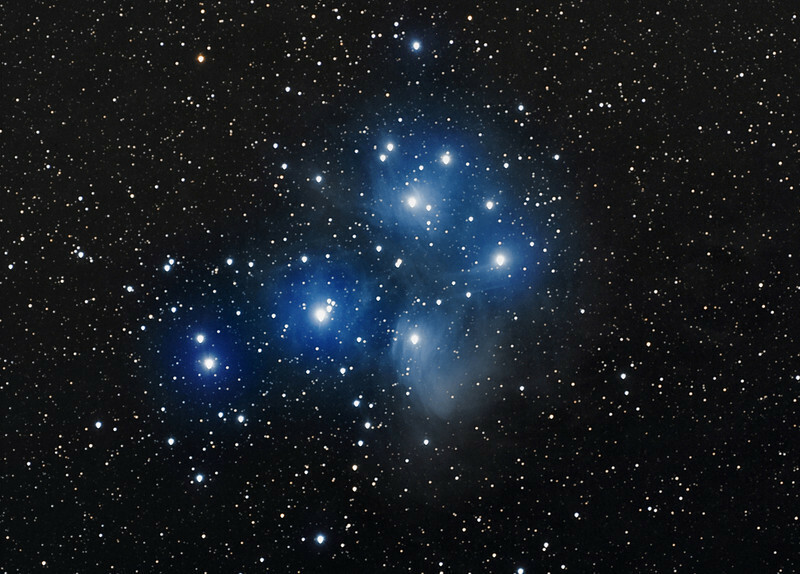 Messier 45 star group and nebulae (Pleiades). Schulman telescope. In remembrance of my late colleague Patrick Steptoe, British surgeon who was a pioneer in the field of gynecologic laparoscopy and co-developed, with Robert G. Edwards, the original methods of in vitro fertilization (IVF).